How to download youtube videos without software? 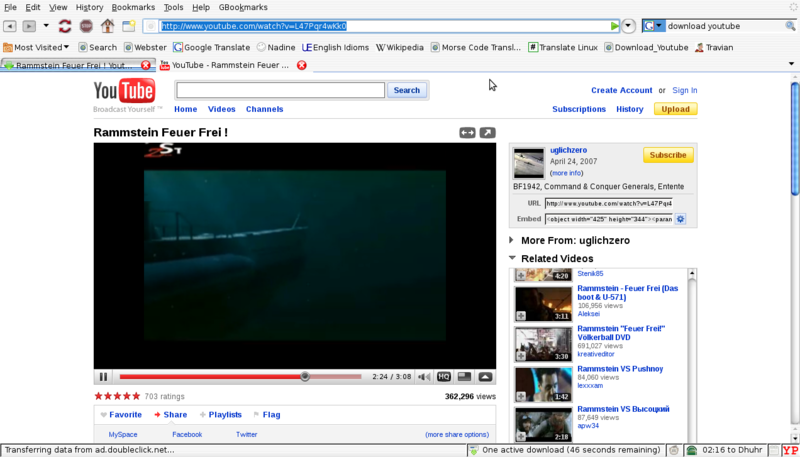 Youtube is one of the biggest video source that available in the internet. The problem is youtube doesn’t allow us to download their videos directly from their website. There are many free youtube downloaders you can download from the internet. But, now, I will show you how to download the youtube videos without using any software. The trick is, using free online downloader. There few websites provide this service. One of it is, ‘Download youtube videos‘ and it’s my favorite. It’s very easy to use. The only problem is sometimes a pop up adult pages come out at the first time you open the page. Step 1. Open youtube website and select a video that you want to download. Select the web page address of the youtube video and copy it. To copy it’s very easy, just block the address link, press right mouse button and select ‘copy’.